Granite is the oldest building material in use today. Granite stone is a formation of minerals such as quartz, feldspar and mica. When fused together the form a very hard stone, which we call granite. This stone can be polished and is resistant to stains, scratches and heat. 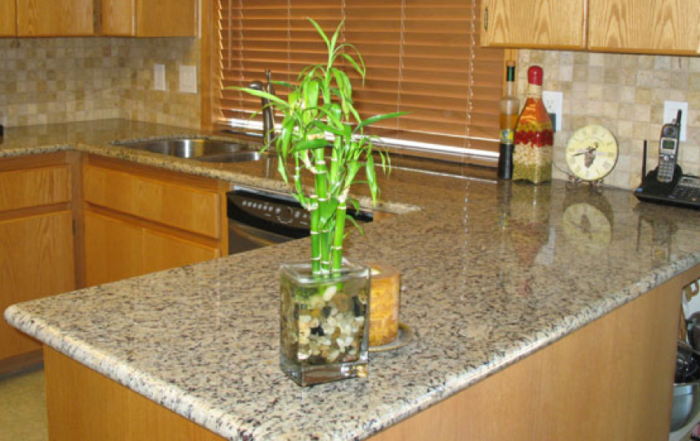 Once polished, natural granite will maintain its high gloss virtually forever. Granite is scratch resistant and not effected by heat, making it much safer than synthetic surfaces with polyesters and resins. Also, granite countertops have become a more affordable stone countertop option in the last decade due to use of modern machinery and technology. Additionally, granite countertops retain their value and don’t wear out. They also add value to a home or business when it is sold. Heavy impact from a blunt or sharp object can chip or break granite. While very resistant to these types of breaks, natural stone such as granite still can get damaged, though it is unlikely. Granite can stain when wine, tea, coffee or another dark product is spilled on it. Sealing your new granite countertop with our top of the line product, DryTreatTM, provides you with one of the best seals in the industry. The DryTreatTM line of products superbly cover just about any surface that you might have in your home. Yes, but your knife may dull quickly. Granite is composed of quartz which is harder than steel. Quartz bearing stone are often used to sharpen steel implements and therefore your knives will get dull much more quickly. We recommend using a wood or plastic cutting board to protect both your countertops and your knives. 2 cm and 3 cm are the standard thicknesses for the granite countertops we fabricate and install. 3 cm granite countertops weigh approximately 18 lbs. per square foot. 2 cm granite countertops weigh approximately 13 lbs. per square foot. 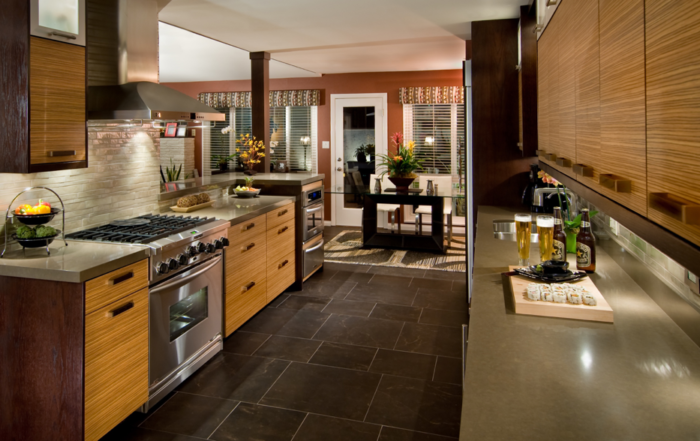 What is the difference between “Pre-Fabricated” and “Full Size Slab” granite countertops? Pre-fabricated or “pre-fab” granite countertops are simple rectangular granite slabs that can be cut and manipulated easy. The slabs are inexpensive, timesaving and easy to install. They normally come in 98″ x 26″ (inches) with a bullnose edge on two sides. They are almost always cut smaller. Pre-fab island countertops cover peninsulas or islands in kitchens and come with three side finished edge. Standard pre-fab island sizing is 36″ x 98″. Why choose composite materials such as PentalQuartz, Caesarstone or Silestone? We love natural stone and the variations that make it a unique finished product. That is something that can’t be replicated. 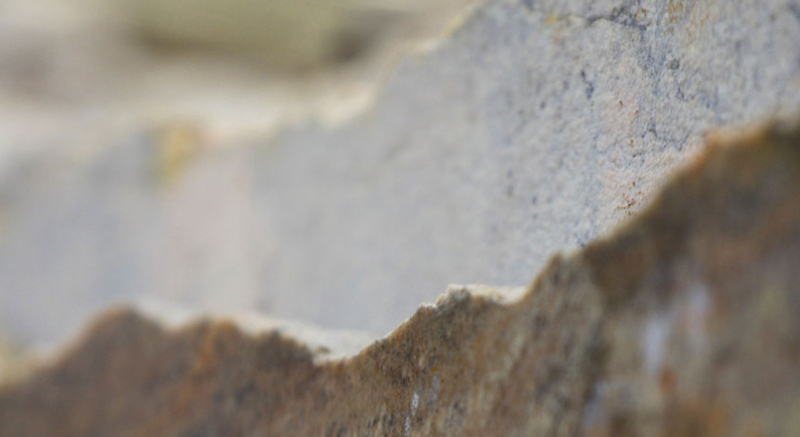 For a product where a single piece of custom stone is required, natural stone can be the best choice. When looking at a larger space, one with higher traffic or one that might be exposed to all different types of materials and heat, these three composite materials can be a better choice. The uniformity is excellent, especially if one wants to add on later and match what has been previously installed. With natural stone this can be very challenging.